Quick Start Your Precision Shooting! Check Out Personal Lessons and P4K Playbook Offered Here. New to precision shooting? Having trouble with the grips or the sets or the throw? Are you looking for direct instruction for the mechanics of dice setting? Or maybe you've got some experience and have some bugs to workout with your dice setting or just want to take your game to the next level. We have the answers to your questions. You can get it straight from two of the best gaming instructors teaching the game. The Dice Coach and The Professor. Going to Vegas? 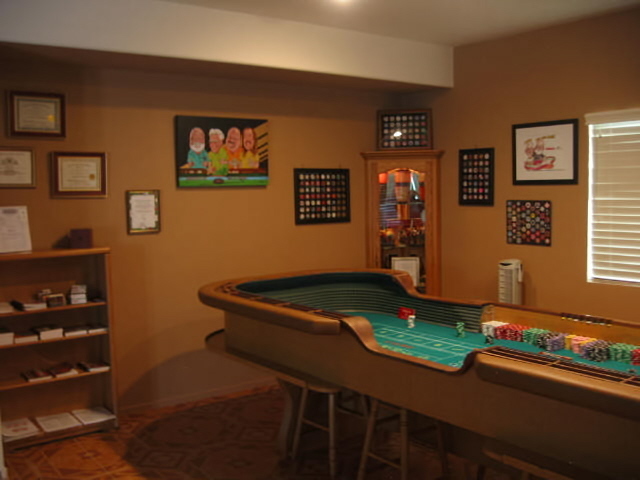 The dice coach makes his living on the tables, playing craps and blackjack. A Las Vegas resident, the Dice Coach can introduce you to dice influencing theory, or if you're already somewhat experienced in dice setting, he'll assess your throw on a full size craps table and give you a "tune up" prior to hitting the tables.... One on one instruction at reasonable rates. Dice Coach for more information. Free Craps Lessons on-line Playing4Keeps! The Professor, who resides in Colorado, offers one to one instruction. Book your private class for the Do's and Don'ts of Dice with The Professor today. Visit Playing4keeps.com to schedule your lesson or email The Professor. Check out his lessons for Blackjack and Texas Hold'em Poker too! Copyright 2001 - 2017, All Rights Reserved, DiceSetters.com, No Reproduction Allowed Without Prior Written Approval.